I agree we shouldn’t take too much from these games (as per last years experience) but this year is entirely different in that the pre-season PR and hype generated by the Club has been phenomenal. I mean that in a good way as it has generated great enthusiasm for the purchase of ST’s. Ihave only seen the Airdrie and Montrose games and tbh I have been a little underwhelmed by the standard of the new arrivals. i agree it is early days and the only true test will be on 4th August against ICT. it is still worth while monitoring our challengers and I was impressed with the defence and midfield of Dunfermline but NOT their strike force. BTW, as a new contributor I have been unimpressed with the standard of posts on here. I rather expected better but hey ho!! The standard of you're trolling is dreadful. So obvious you don't support Falkirk! As a relatively new contributor I have been very impressed with the standard of posts on here - you however, are the exception. Please go back to Dunfermline or wherever the hell you come from 'cos you certainly aren't a Bairn. 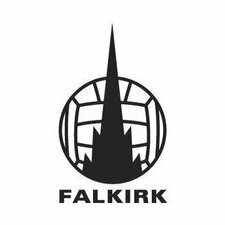 I was watching Falkirk under Reggie Smith, Tommy Younger and Sammy Kean. Jakubiak isn’t coming back guys. My friend was speaking to the director after the game and he said the jak ain’t coming back, but nelson is high on the list. Heard exactly the same from a reliable source. Can u quote then. Plus add a link. it was a confidential conversation. Personally speaking, I just put him on ignore. Much easier. I think his source was Piracy. now that we've finally put the jak thing to bed, can we get down to the serious business of bringing in a real striker?.........I heard Mbappe is up for a move..........any sugar daddies out there? That you've shared on a public forum? No, I was too busy raising a young family and trying to pay a mortgage. What a horrible "fan" I am. You may be correct but I felt it was of interest to see how one of our competitors competed against a higher league side. For what it’s worth they played a 532 formation against which Dundee made no impression. Craigen and Hippo looked good but Louis Longridge was anonymous. Their wingbacks Longridge and Williamson were excellent and, as mentioned earlier their defence were never troubled. Hippo looked good??? he missed two sitters and was caught off side at least 6 times!! I was at Vaduz. Great trip but it doesn't make me a better fan than anyone else. Yes it was an amazing trip. I heard it was an amazing trip. Can anyone confirm?